Bali Trekking Adventures is an exciting trekking adventure to bring you to the wonderful experience on your holiday in the Mountains or volcano of Bali. 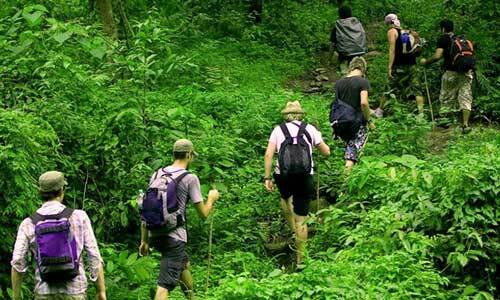 Trekking in Bali is the best choice to enjoy the natural beauty of Bali. 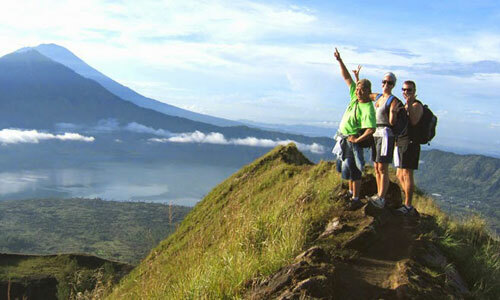 Having some of the most spectacular, exciting and breathtaking routes for trekking in the island of Bali. Trekking is one of the best ways to experience the natural beauty, diverse cultural heritages, and varied geographic conditions of this Island. Bali Trekking Adventures divided into several sections, such as Bali Jungle Trekking, Bali Secret Garden Trekking, Bali Volcano Trekking, and Bali Highest Peak Trekking. For adventures trekking which are outside Of Bali Island we have trekking adventure to Kawah Ijen or Ijen volcano, Bromo Volcano, and also Trekking at komodo Dragon or Flores island. Bali Volcano Trekking located in Kintamani is one of the most actively promoted attractions in the island of Bali now days. It is a vast mountain an eruption of massive proportions blew off its top leaving a huge caldera in which three peaks are located. One is the active volcano of Batur and the other is the non-active of Batur Caldera. 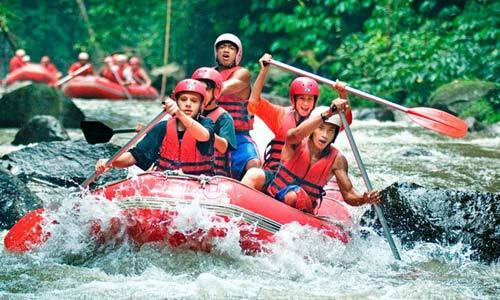 Bali Jungle Trekking is an exciting trekking adventure to bring you to the wonderful experience on your holiday in the Jungle Mountains of Bali. We will take you to the peaceful place where is far away from bustle, re-siding in the middle of jungle which is fully planted by multifarious flora and fauna. 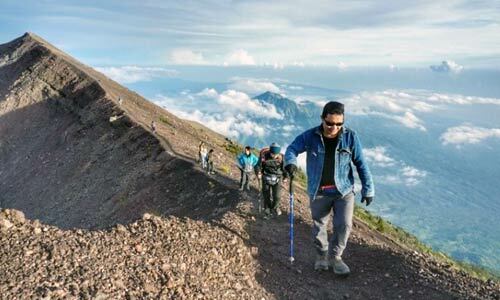 Bali Highest Peak Trekking located in Mount Agung east side of Bali Island. Mount Agung Bali stands 3,142 meters above sea level, can be summitted by physically fit hikers about 3 to 4 hours from Pasar Agung Temple starting point and 5 to 7 hours from Besakih Temple starting point.